The current issue of Sports Illustrated magazine in America has a huge feature on Donald Trump. (To be fair, you seldom get small features on Donald Trump, unless one is controversially talking about his hands.) The item that grabbed – the use of that word is deliberate! – most attention was him telling members of the Trump Bedminster course in New Jersey, which has become his summer presidential retreat in preference to the more traditional Camp David, that “the White House is a real dump”. 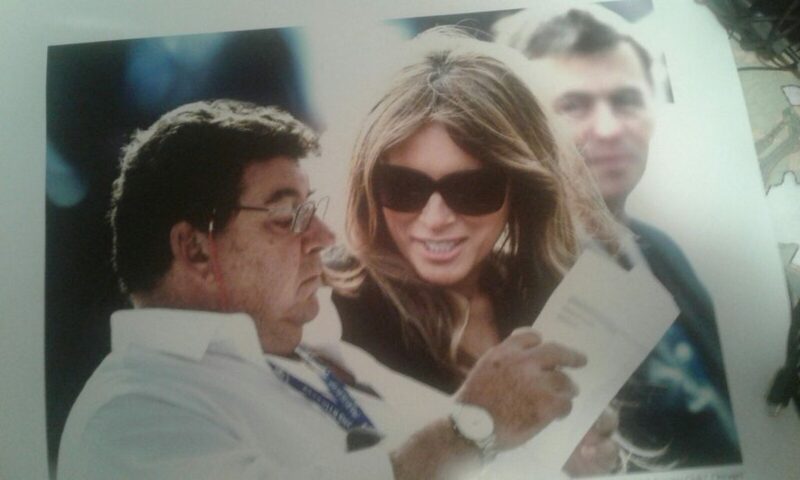 This elicited a response from one of the president’s long-time advisers, Hope Hicks, who told SI: “That’s a lie and needs to retracted.” As the chief writer on the story, Alan Shipnuck, noted: “They definitely don’t waste any time trying to be charming or friendly.” He told her that the president had “said this in front of eight or nine members and staffers” of the club and the story duly stood. Last month, Trump Bedminster hosted the US Women’s Open. In 2022, it will stage the USPGA Championship. Trump plays quite regularly with Pete Bevacqua, the CEO of the PGA of America. It is impossible to believe he doesn’t like his chances of Bedminster, or somewhere else, staging the Ryder Cup one day. The selecting of the host venue lies within the gift of the PGA of America every four years. During the US Women’s Open, Trump tweeted about the championship eight times, more than he ever has about the worldwide refugee crisis or climate change – combined! Meanwhile, although the president seems determined to pull his country out of the Paris accord on climate change, his company cites climate change as a reason why it needs permission to build a seawall to protect the coastline beside the Trump International Golf Links & Hotel Ireland in County Clare. Still, consistency is not The Donald’s game. He fondly believes that golf is. In 2015, he told Forbes magazine: “I feel golf should be an aspirational game. People should come to golf, golf shouldn’t come to them. Let golf be elitist. When I say ‘aspire’, that’s a positive word. Let people work hard and aspire someday to be able to play golf. To afford to play it.” Hardly in keeping with the notions under which the game initially flourished in Scotland all those centuries ago, but there we go. What Trump really thinks about golf is perhaps best exemplified by a video that went viral in June – of him driving a golf cart across a green. Clearly, that’s to what we should all aspire – to be able to afford to indulge in that sort of behaviour. Trump’s ‘official’ handicap is 2.8. Ernie Els, with whom he has played a few times, reckons he’s “an 8 or a 9”. He claims he’s shot a 68 around good courses like Bel-Air in Los Angeles but there’s no record of any such thing and no one believes him. Ditto re the club championships he says he’s won. A sense of Trump’s vague, verging on no, respect for the rules of the game and his willingness to cheat can most entertainingly be found by watching the short clip of Samuel L. Jackson on this very subject on YouTube. More pertinently, as the world prays for a resolution in the USA v North Korea stand-off, and given that Kim Jong-il, the father of the country’s current ruler, once claimed to have played a round of golf in 38 under par, including 11 holes-in-one, surely the best way to sort this conflict out would be for Trump to challenge Kim Jong-un to a duel…sorry, a game of golf. Agreed, there’d be no shortage of bad lies (or haircuts), but the planet might end up being a safer place. Alternatively, of course, it might not. To return to the Grimm fable of Rumpelstiltskin as per the title of this piece, I’m not saying Ivanka Trump is able to spin straw into gold, but it seems her father can spin some long yarns about his golf.